If you read my blog or my Instagram you’ll know I take brunch pretty seriously. I am obbessed with anything served with avocado, I love eggs all ways and would choose breakfast over lunch every time. 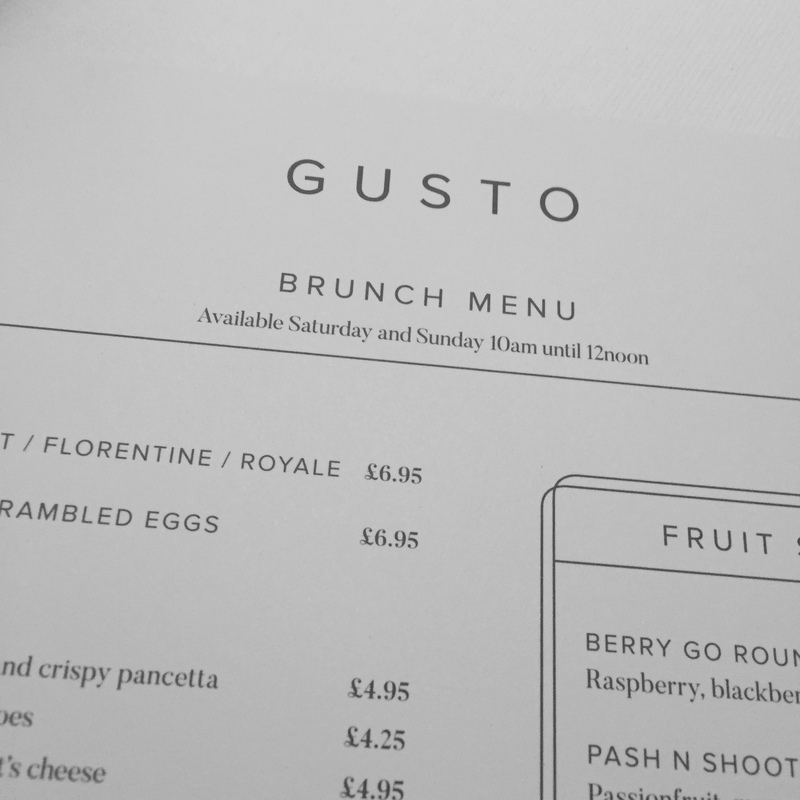 When Gusto, on George Street, launched their brunch menu a month or so ago, complete with a new smoothie and cocktail menu, I was delighted to pop along and check it out along with one of my best girlfriends. We brunched on a fairly chilly, misty May morning. I had lovely visions of cocktails in the sunshine and relaxing at one of the tables outside, but alas, it was not to be! We secured a booth opposite the bar and poured over the menu before getting stuck in to catching up. The service was friendly, and we were well looked after from the moment we stepped through the door. I opted for eggs benedict (bacon super crispy please) and Christine couldn’t say no to the oven baked waffles with crispy bacon and maple syrup. As it was the weekend, it seemed foolish not to give the cocktails a whirl. Intrigued by the ‘Cucumber Cino’ we ordered one of those and a ‘Cherry & Thyme Mimosa’ – the perfect breakfast cocktail. Our food arrived just as our cocktails were being shaken up. What a feast! 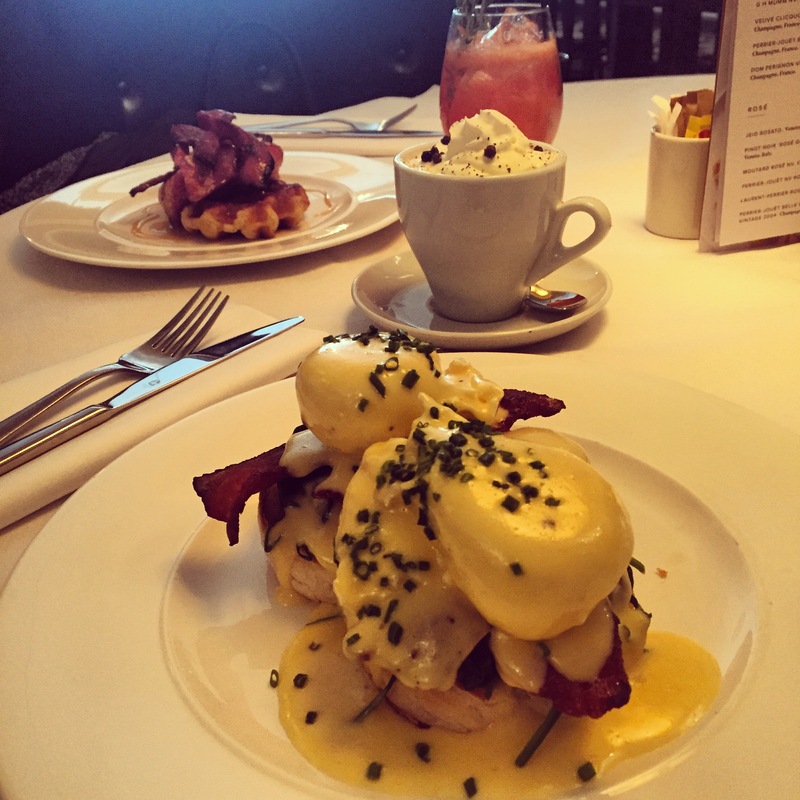 The portions were hearty, as a good brunch should be, and every mouthful was delicious. 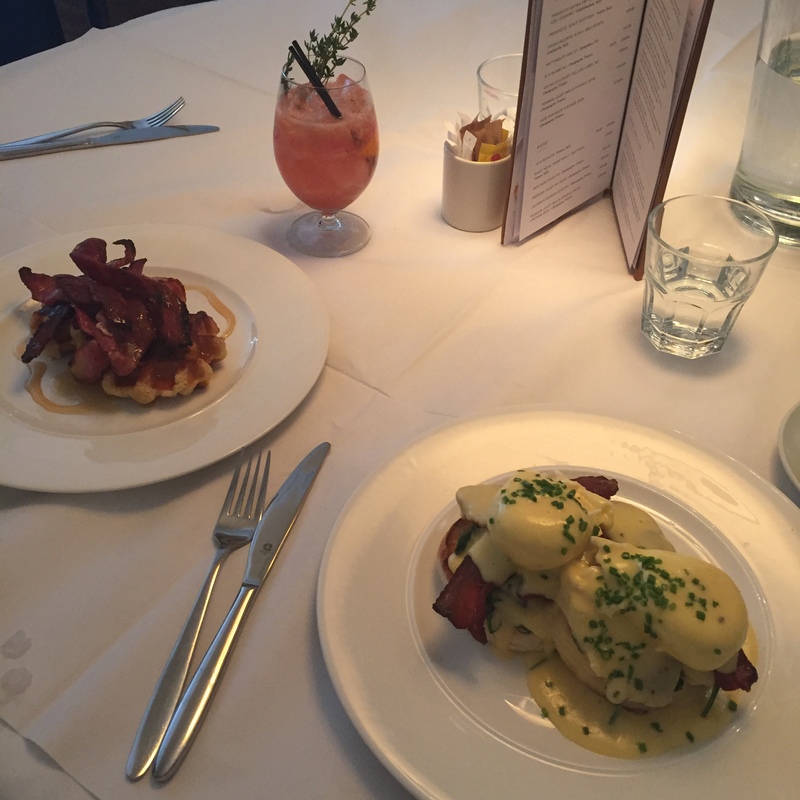 My eggs benedict were deliciously runny and the bacon was snapable – just how I like it. 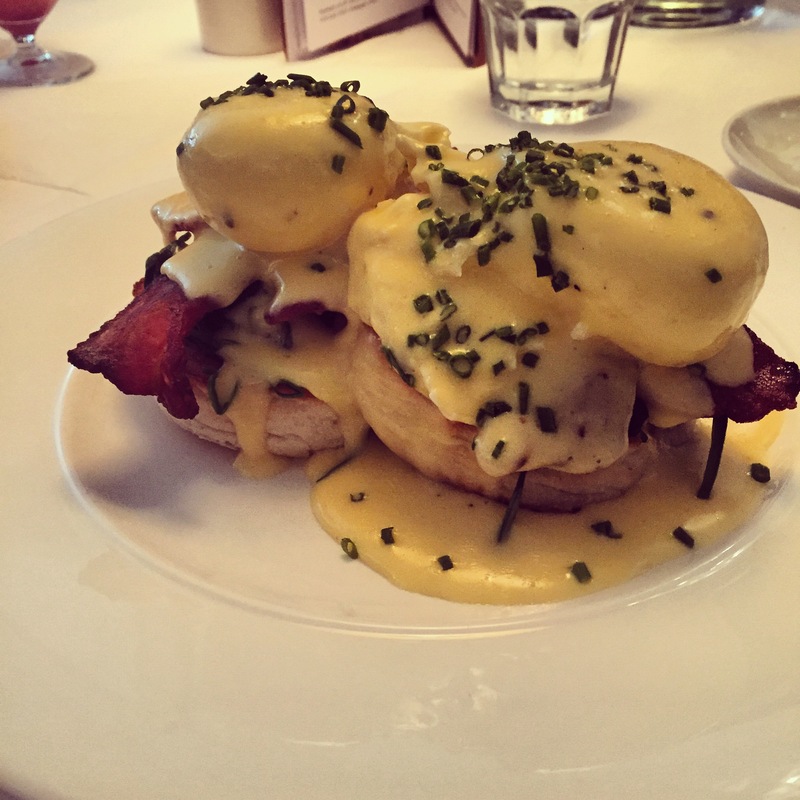 The hollandaise sauce was sharp and plentiful (I hate when you don’t get enough!) and some spinach had snuck onto my plate by accident… I wasn’t complaining. 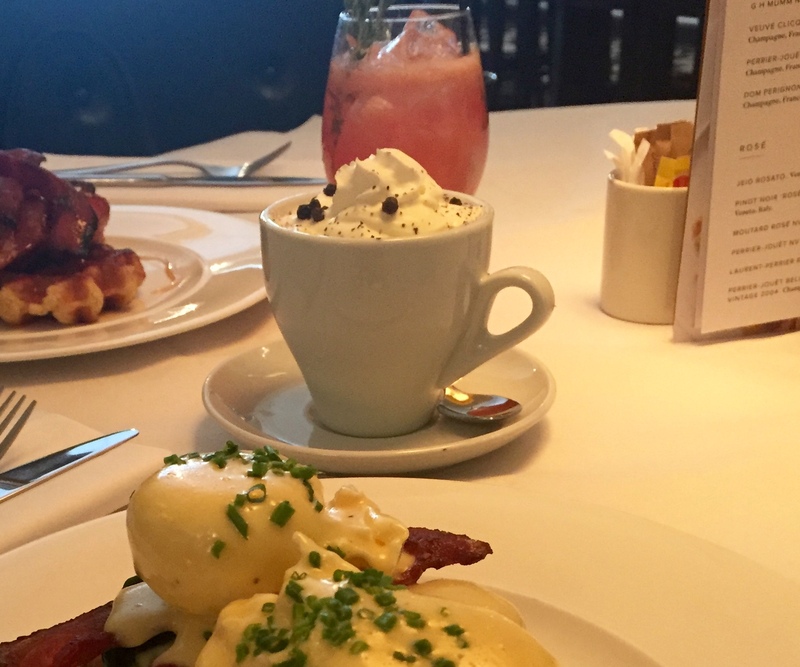 Florentine with a side of bacon? Sure! I couldn’t not try the waffles, they smelt absolutely delicious. 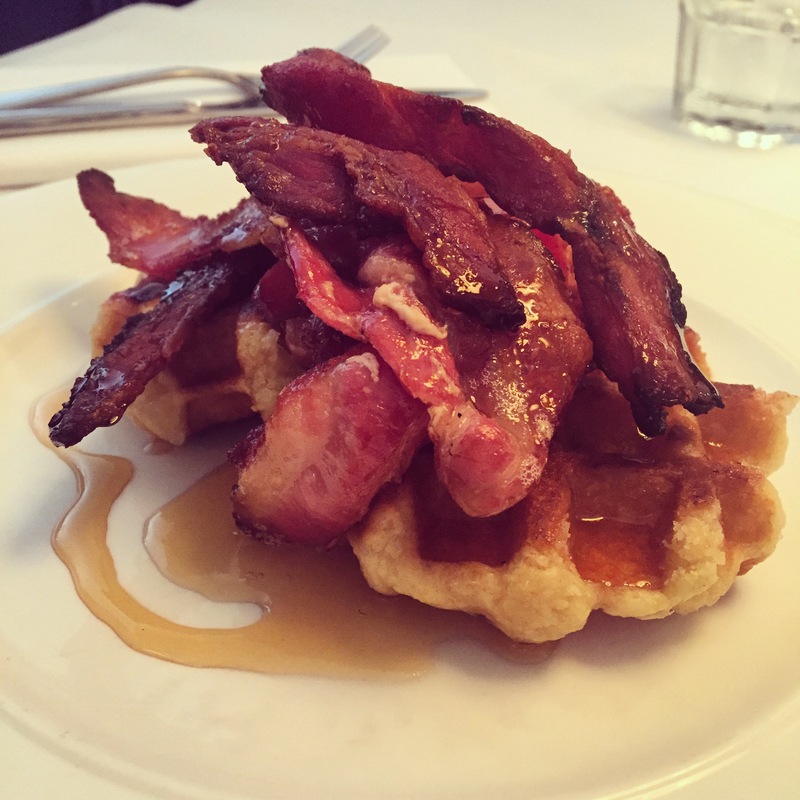 Sweet maple syrup and salty bacon is a match made in heaven when served, as these were, on proper American style waffles. As we gossiped and grazed (we were in no rush) we got stuck into our cocktails. 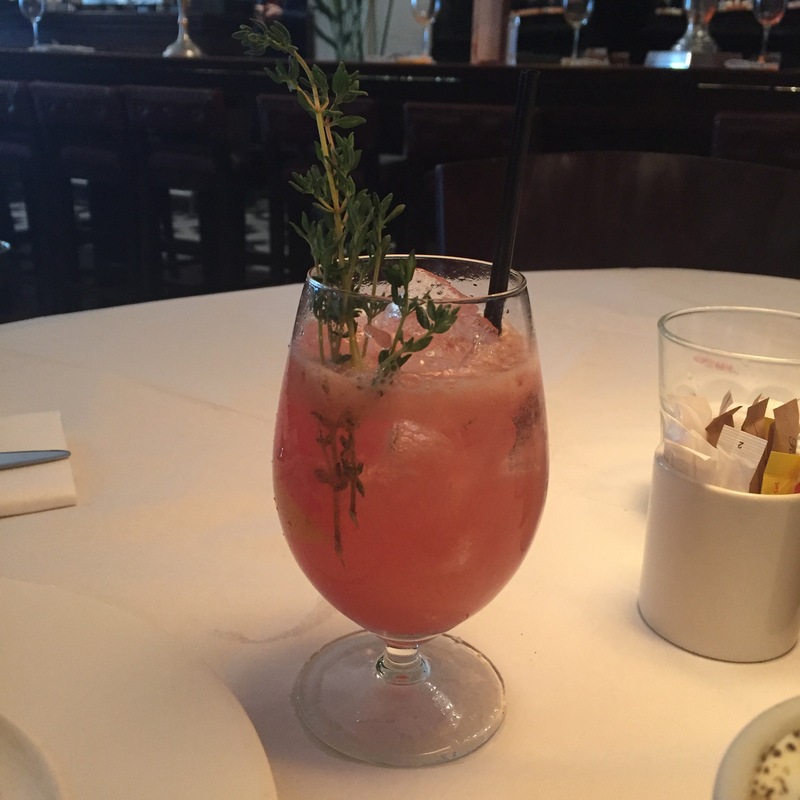 The Mimosa was fresh and fruity, not too sweet, and the thyme twigs added good savoury notes. The Cucumber Cino was a mind trick. At first I thought we had been mistakenly served a capuccino… then the penny drops. Cucumber Cino. Cappucino. The cream on top was in fact a fabulous cucumber flavoured foam with a black pepper dust to garnish. Beneath the foam was a light and refreshing gin cocktail made up of Hendricks gin, cucumber, lime, rose liqueur. I had it on good authority the smoothies were worth trying, so I ordered a ‘Detox-zing’, made up of blueberries, ginger, carrot, banana and courgette. This was a meal itself. Sadly we just didn’t have much room left, but what we did sip was delicious. I have enjoyed lunches and dinners at Gusto, and I’m pleased to report the brunch menu really holds its own. After a couple more cocktails we rolled out the door. 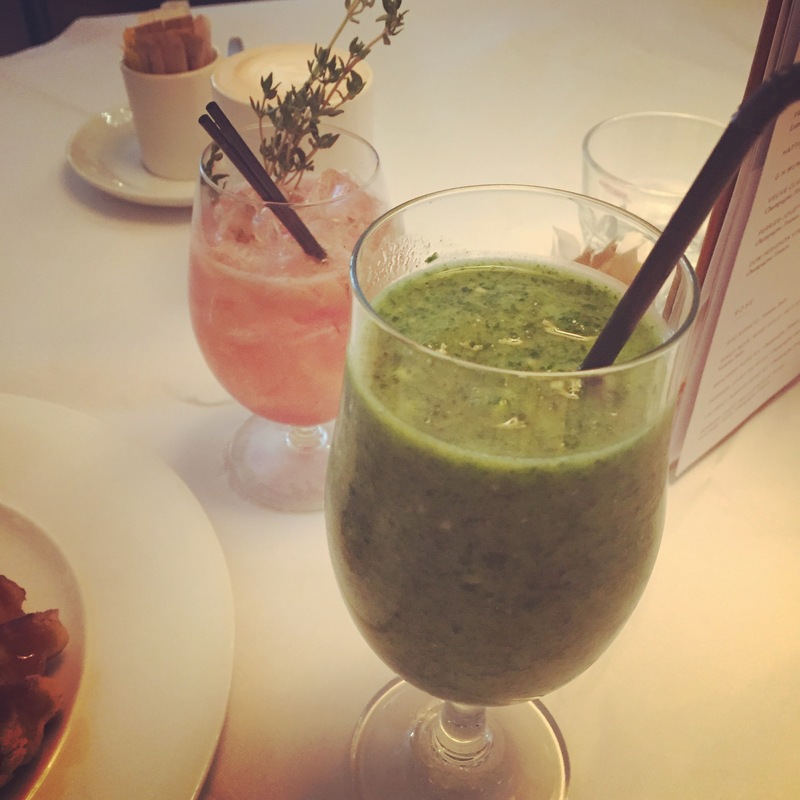 Turns out it was really the next day, Sunday, I needed the detox smoothie… Maybe I’ll get one to go next time!